When it comes to creative campaign ideas, don't be afraid to think global. 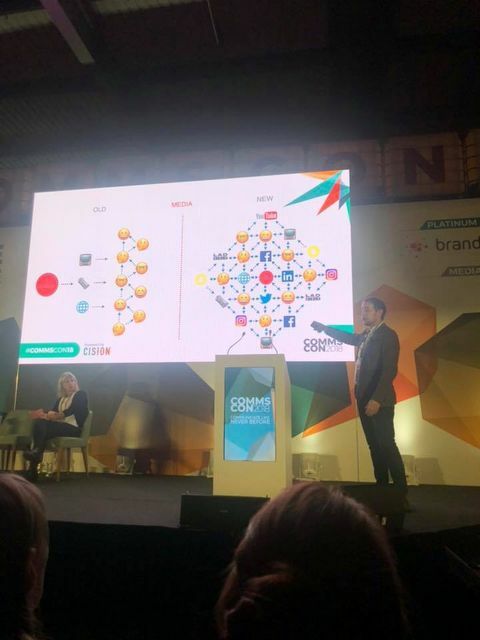 Yesterday at Cision CommsCon2018, Peter Heneghan of LADbible highlighted how the growth of the organisation has mirrored the rise of social media as a tool for engaging a wider breadth of audiences - exposing you to content outside of your everyday ‘echo chamber’. LADbible continually responds to the changing interests of its audience and its recent ‘Trash isles’ campaign - tackling the issue of polluted oceasn - went from strength to strength using their extensive network and help from the Plastic Ocean Foundation. It seems that there’s actually a simple formula for getting your campaign viral. If you have an idea, all you need is the backing of a mass influencer (such as LADbible) and an ‘enabler’ i.e. an expert to validate your rationale and objectives. If a campaign has a strong, meaningful purpose that resonates on a global scale, there is always the potential for widespread reach and a significant social impact. The key to amplification is combining contemporary trends in social media with the technology (VR, AR, AI etc...) already available to us - so don't be afraid to think bigger in your next brainstorm.